I didn’t want to like American Authors. I didn’t want to end up listening to their music on loop for hours or humming along to practically every song. The songs I had heard seemed childish and generic, with a targeted audience of preteens sitting in the backseat of their moms’ mini vans. However, Oh, What a Life completely transformed my opinion of American Authors and has become one of my most enjoyed albums of the year. I suspect most of my original animosity toward the band was the result of their hit single, “Best Day Of My Life.” The lyrics were the main reason I had a distaste for the song. My brain simply had a hard time handling how casually the lead singer crooned, “I had a dream so big and loud/ I jumped so high I touched the clouds.” Very little of this I could relate to. The song sounded like an attempt to pander to the Imagine Dragons crowd. Luckily for listeners, “Best Day Of My Life” is only the low point on an exciting roller coaster of upbeat, Americana-inspired pop-rock. The first thing I noticed about the album was how catchy it was. The melodies and instrumentation remain consistently simple, making it easy to find myself humming the tunes while away from a source of music. The album’s production is also very well done. Every drum snap, guitar riff and strike of the keyboard comes through crisp and even. The songs, surprisingly, can be enjoyed through any set of speakers or headphones. However, I’ve found that a system with lots of bass adds to the excitement and upbeat-nature of each track. The band’s weakest characteristic has to be their lyrics. 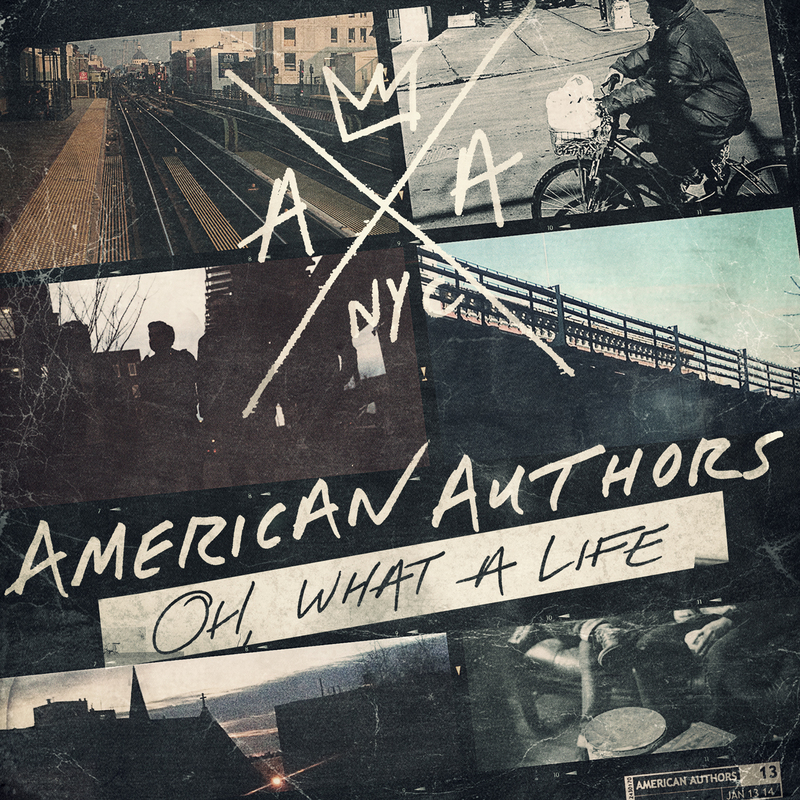 The songs on Oh, What a Life cover love, loss and youthful optimism. All of the standard pop tropes are present. Right there lies the issue; it’s almost as if American Authors are scared of deviating from what everyone else is creating. Having said that, it is important to note that this is the band’s first album. They will have plenty of time to hone their lyric-writing skills as they continue to make music in the years to come. While some shortfalls keep it from being a truly incredible album, Oh, What a Life captures the gritty fun that the upbeat pop-rock scene has become known for. This album will be enjoyed by fans of The Mowgli’s, Imagine Dragons, The 1975 or anyone who’s simply young at heart.